To search the database for the destination of your choice, use the boxes below. Like the rest of East Africa, Kenya retains an air of mystery which lends itself to all types of incentive themes with a touch of romanticism and elegance. With an excellent hospitality infrastructure in Kenya, Nairobi can accommodate large incentive groups, whilst the country’s very special game reserves and national parks, such as Masai Mara, Lake Nakuru, Amboseli, to name but a few, offer fantastic wildlife viewing and upscale accommodation solutions using camps or lodges, often with more than thirty tents or rooms. Special themed dinner’s can be organised in Nairobi as well in the wilds of the bush whilst on safari or on the serenity of Kenya’s white sandy beaches – the possibilities are endless for a truly unique African experience! On the Kenyan side of the wide Serengeti National Park is one of the world’s richest natural reserves, the legendary Maasai Mara and now the 8th Wonder of the World thanks to the greatest wildlife spectacle on earth - the annual Wildebeest Migration. Southwards is the Amboseli National Park which stretches to the foot of the legendary Mount Kilimanjaro while North of Nairobi brings you to Mount Kenya, Africa’s second-highest peak (5199 m), ideal for hiking and features a select choice of luxury lodges where formal dress is required for dinner. Most commonly known is Tanzania’s “northern circuit” which includes Lake Manyara, the spectacular Ngorongoro Crater and the vast Serengeti National Park. But this is a far more fascinating country, from the beaches and resorts of Zanzibar to the wild virgin bush of Ruaha and Selous with their abundant wildlife, and the highest free – standing mountain in the world, the Kilimanjaro. Tanzania is a modern, progressive state with a rich cultural and historical heritage that began almost four million years ago when our primitive ancestors first left the forest and walked upright on the plains. Using wildlife areas such as the Serengeti Game Reserve with its excellent wildlife viewing or Ngorongoro Conservation Area, the region that is recognised as the birthplace of humanity, undoubtedly leaves clients with a truly unforgettable experience. Typical incentive groups’ itineraries include a safari tour in the game parks, with probably a few days on the coast. On to this, a few pleasant surprises are sprinkled here and there like bush breakfasts, tribal dances, pool side parties, theme evenings, and barbecues on the beach or in the bush, to make the product exciting and memorable. The islands of Zanzibar stir the imagination and conjure up images of magical Arabian nights, the scent of spices on the evening air and spirit of ages gone by. Its name evokes a romantic past. To the shores of these islands came Summerians, Assyrians, Hindus, Egyptians, Phoenicians, Arabians, Chinese, Malaysians, and the Portuguese, all sailing in on Monsoon winds. 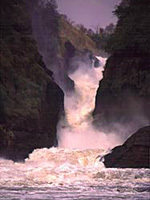 From these shores the great European explorers Burton, Speke, Livingstone, Krapf, Rebman, and Grant set out on their voyages of discovery into the East and Central African hinterland. The different races that have settled in Zanzibar over the centuries have left an imprint on the people and the architecture. The “House of Wonders” and the narrow streets of the Old Stone Town are just some of the vivid reminders of the islands long and coloured history. 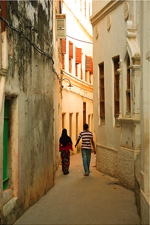 From a distance, the whitewashed buildings of the stone town (recently declared one of the world’s historic cities by UNESCO) apparently dancing on the waves of the Indian Ocean create the feeling of adventure and the excitement of going back in time. Zanzibar is the birthplace of the fascinating Swahili culture with its elegant architecture, full of balconies, courtyards, hand-carved doors and mosques. Built only for pedestrian traffic, the streets wind between the tall buildings and open unexpectedly into ornamental squares. Excursions include taking visitors to spice plantations in the countryside where a variety of seasonal spices, tropical fruits and medicinal herbs are grown. Detailed description of the spices is given, and their uses in cooking and cosmetics. Guests will be fascinated by the sheer number of spices produced, and by their incredible value for many ailments. Another popular excursion is the “Zanzibar Stone Town Tour” which is literary a travel into history of this old capital of the Omani Sultans. Other excursions will include the old slave cave, the prison island, ruins of what was the palace of the Sultan Said, the old slave market and many other historical places. In the words of Sir Winston Churchill himself, The Kingdom of Uganda is a fairy tale. The scenery is different, the climate is different and most of all, the people are different from anything elsewhere to be seen in the whole range of Africa. 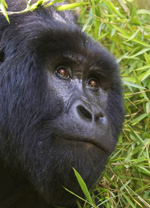 One of the most beautiful countries in Africa, Uganda is blessed with fantastic natural scenery; half of the world's remaining mountain gorilla population is in Uganda. It also offers world-class white water rafting at the source of River Nile and some of the region's more peaceful national parks, where wildlife viewing doesn’t involve long waits in line behind a dozen or more vehicles. The natural attractions are among the best in the region, and as tourism is still being re-established, there simply aren't the crowds found elsewhere. Take your pick from the highest mountain range in Africa, the Rwenzori Mountains; one of the most powerful waterfalls in the world, Murchison Falls; or perhaps the highest primate density in the world, in Kabale forest National park - Uganda has all this and more. It's a beautiful country with a great deal to offer, and sooner or later the tourist hordes will 'discover' its delights. Whatever your interest, be it cultural or archeological, wildlife safaris, bird watching, forest walks, mountaineering, white water rafting, kayaking, sailing, sport fishing, mountain gorilla tracking/trekking, chimpanzee trekking, primate adventures, bungee jumping .., Uganda offers all this and more. ... truly stunning scenery set against a backdrop of the majestic Kilimanjaro rounded off with a few days on the Indian Ocean coastline and all the magic of Zanzibar - simply unforgettable! ... for magnificence, for variety of form and color, for profusion of brilliant life -- bird, insect, reptile, beast -- for vast scale -- Uganda is undoubtedly the place to be!